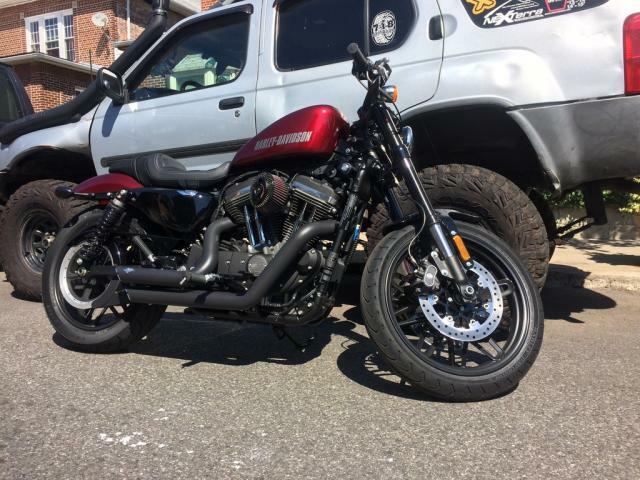 This is my 2001 Fatboy. I got it about four years ago from a friend who was stepping up to a custom. I've owned a few jap bikes and still like them but after I had kids I sold them. 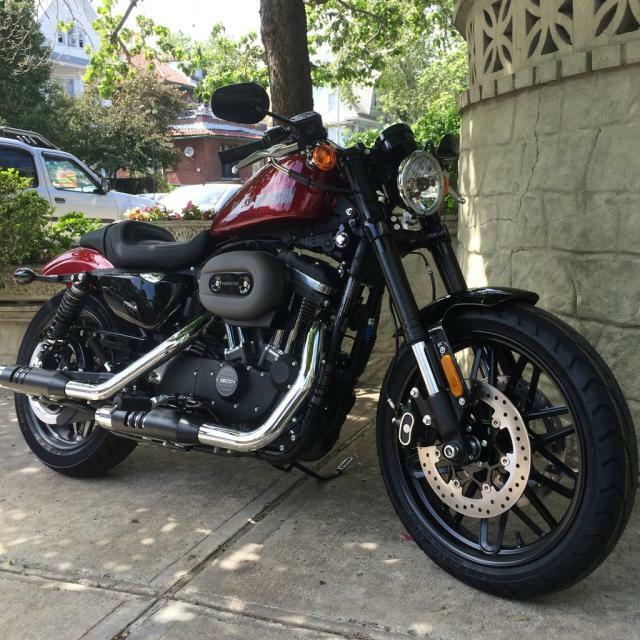 I always wanted a Harley so as the kids got older and this one can up for sale I figured WTF. It has "Thunderheaders" and a quick release windshield, other than that it is stock. I like the way it looks and sounds and love to ride it. Wow that is a very sweet bike. And a really cool picture/location. I'd love to get a bike, but my wife has expressly forbid it because she says she wants me to be safe or something like that. lol my wife says the same thing....she doesn't realize that whether she likes it or not, I'm buying an enduro bike. 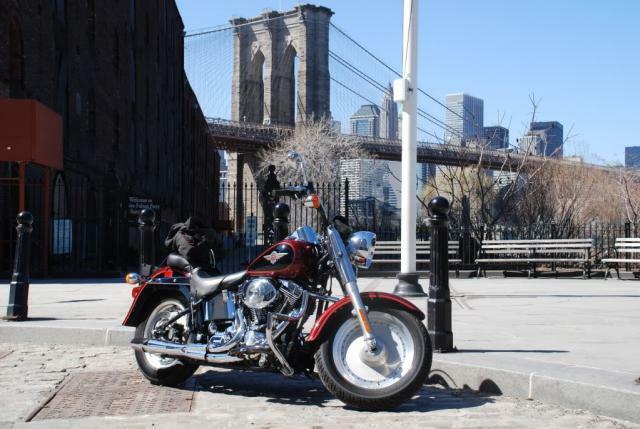 Temps hit 70 today in Brooklyn so I dropped the battery back into the bike and went for a short ride. Rolled down to Ferdinando's Focacceria for a Panelle Special, a sandwich made on seeded Italian with panelle topped with ricotta and Parmesan. All ingredients made in house; what a great sandwich! 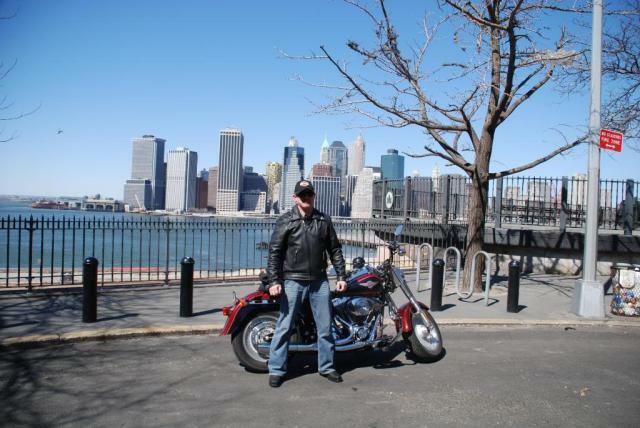 Then down to Brooklyn Heights and enjoyed a cigar and the view. I love that bike!!! Great shots! 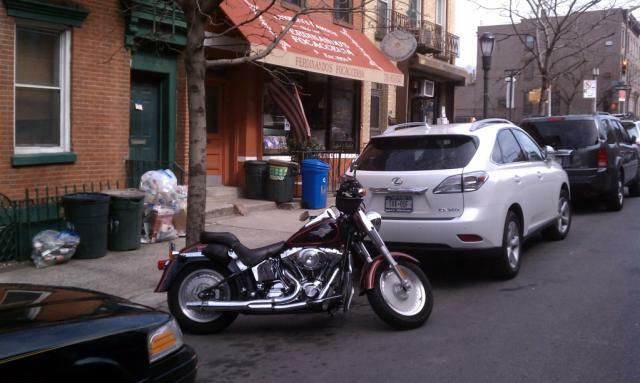 I bet a bike in NYC is sweet..
Man, I used to want a Fat Boy pretty badly. Nice bike. But like some other guys have said, my wife is worried about me being safe or something. In my house, a bike = divorce, at least for now. Maybe one day I'll talk her into it. 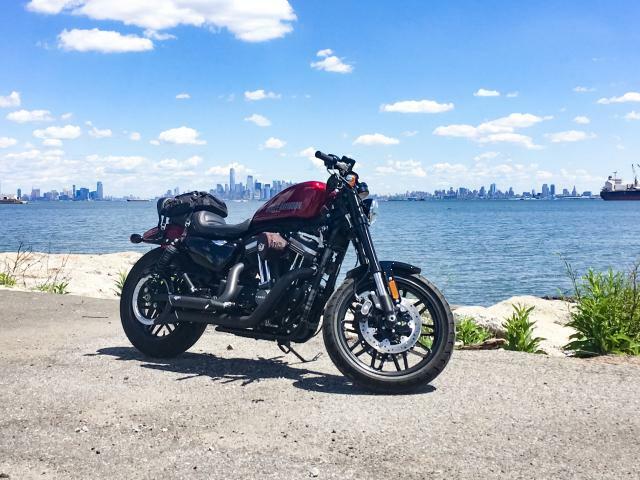 I've been riding since before I met my wife so it would be hard for her to ask me to stop now. When we first started going out I was a bit of a "squid" riding Japanese sport bikes and even had a notion to race so the fatboy seems tame to her now. I'm sure if I had just now decided to ride she would object. I always wanted to ride. Had a lot of friends who did. I flipped a moped we messed with and a dirt bike, that plus the fact my parents would kill me (they had firends who died on bikes) I never really did. If I got one now I'd be a total poser--highway and major roads would scare the crap outta me. I guess it's a learning curve and you need to build experience. 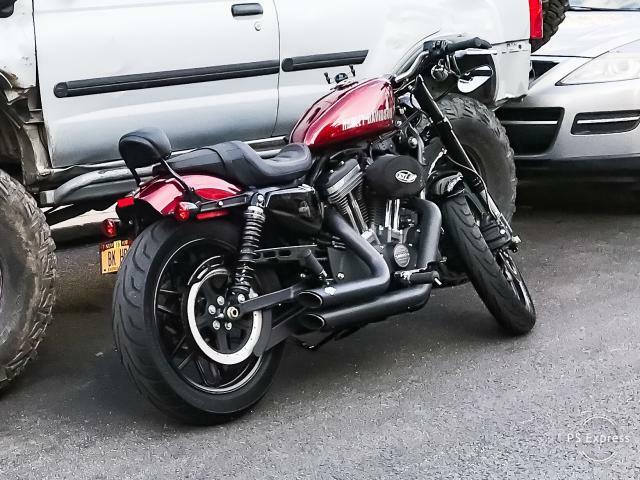 Installed Vance & Hines Shortshots, a Ronald Sands Design "Slant" high flow air filter, flipped the mirrors and tuned the Roadster with a V&H Fuelpak FP3 since I last updated this thread. Looks great. Making me miss having a bike. 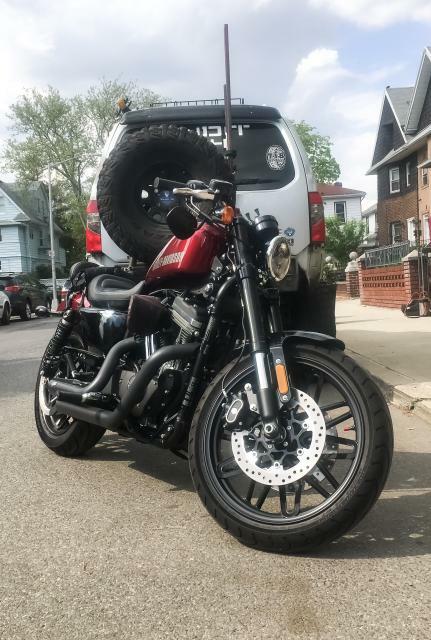 My wife refuses to ride on the back of mine anymore but she won't ever mention that I should stop riding. I just saw this! Cool! What engine? 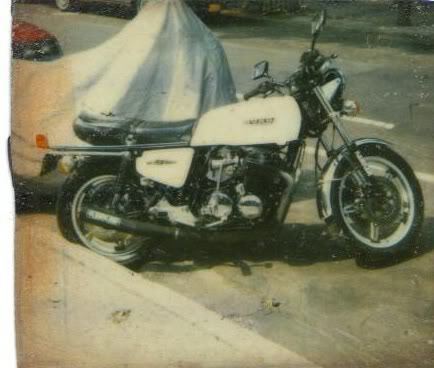 His name is Mike (it was my uncles bike) it's a 74 cb750k sohc with a hot cam and rased the compretion my next step is to upgrade the ignition on it. 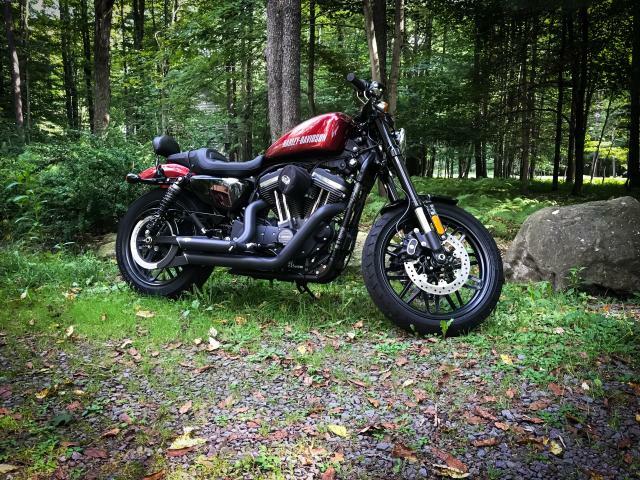 Rode her up to the Poconos this past weekend. She's running well.